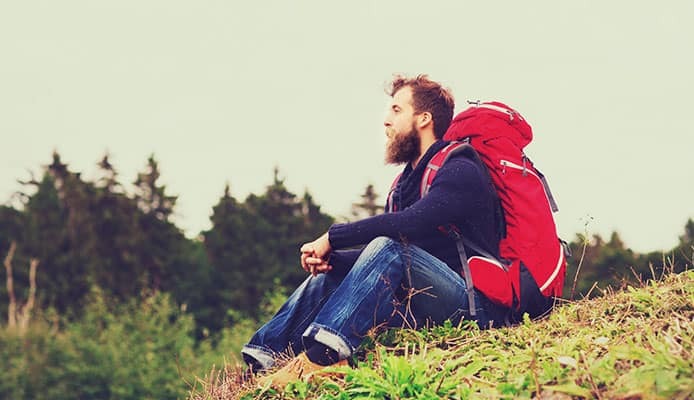 Planning and preparing your trip properly are some of the most important things to do if you want to fully enjoy yourself later. When thinking about what’s necessary to bring along, one thing holds the central place – water. Sure, all hikers are going to take some water with them, but bringing several bottles may not be so convenient as it initially seems. They will consume unnecessary space, maybe you won’t be able to bring enough, and you often have to stop to take the bottle out when you want a sip. As you probably know, there are more convenient ways to hydrate yourself, first and foremost hydration packs. Integrated bladders and a hose within hand’s reach make everything much simpler. 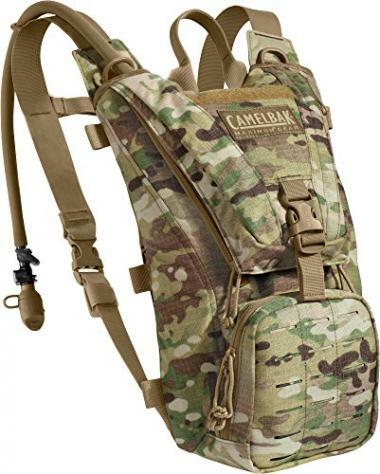 When considering this, one name stands out above all others – CamelBak. It’s a company dedicated to making hydration products, and their backpacks are easy to use, comfortable, reliable and durable. As you will see, they make different types of backpacks so you have a solid choice regardless of your activity. Our goal here is to help you find the best CamelBak for what you plan on doing, so you can relax and not think about water or storage while out. We have also assembled a buying guide to present and discuss different features found on these backpacks, so you know what to look for and get the most out of your product. The M.U.L.E. is a very popular product because it’s very maneuverable and easy to use. The 100oz reservoir holds enough water for the whole day, and the system allows it to flow easily. The tube has a nicely designed bite valve with an on/off lever, and a magnetic clip to keep it in place. The bladder is easily accessible, and it has an ergonomic handle for easier refilling. Like other CamelBak bladders, it has special HydroGuard antimicrobial coating inside which prohibits bacterial growth. As for the backpack itself, it has some storage space but it isn’t bulky. There is stretch overflow storage compartment if you need a bit more space. The straps are strong, and this one comes with additional two – in chest and waist area. Wearing this pack is comfortable, mainly because the back panel has grooves (Air Director), allowing air to circulate and keep you dry. Considering everything included, it’s probably the best CamelBak for your standard hydration needs. If you need a larger capacity but still want the backpack to be low profile and not too bulky, the Rogue is made for you. It holds a substantial amount od water to cover your daily needs, and the bladder is well designed and safe to use, like expected. You don’t get too much extra space though – just a couple of small external pockets and a stretch compartment. The hose has a regular clip, and the quick release system on the other end so you can easily detach it from the bladder. It’s very lightweight and great to have on you during the whole day. You can get it in 4 colors, at a price that is friendly towards your budget. This HydroBak offers a minimalist design that focuses on breathability. You’ll get mesh panels on the back as well as the straps, so it’s really a solid choice for summer hiking. The capacity is medium, so it will easily be enough for a few hours out. It also comes with reflective patches so you’re visible at night. You get a secure zippered pocket to store your necessities and take them with you. Finally, you have a choice of six colors so you can look stylish too. If you’re looking into hiking for beginners and need a budget-friendly hydration option, take a look at the Mil-Tac HydroBak – the most affordable product in our CamelBak reviews. Made of abrasion-resistant materials, it comes with a 50oz bladder. It’s a great pick for people with smaller body frames. The straps are adjustable, and have quick-release clips to take it off without trouble. In addition, you’ll get a chest strap too. There is a single external pocket for your valuables, meaning there’s no abundance of storage. Lastly, like many others, it features their special “Antidote” access port which allows you to fill the bladder while it’s inside. The Zoid is made to preserve the temperature level of your water. 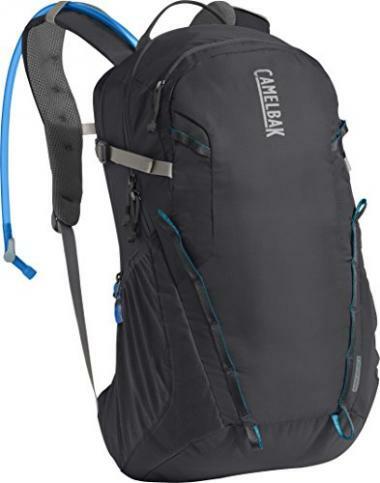 This CamelBak day pack is a fantastic pick if you’re going out in cold weather, or enjoy winter sports. The hose is insulated, and has it’s own pocket within the shoulder strap. The bladder inside has its own insulation, so everything guarantees your water doesn’t freeze. It’s very slim so you can wear it over or under your jacket, and it’s shaped in such a way that snow can’t get stuck between you and the backpack. This one also has a chest strap for stability, and you can quickly access the bladder for refills. Here we have a tactical backpack with many smart solutions to increase functionality. You will get it with multiple tube ports so you can adjust the position how you want. It also has a 5mm foam pad on the back for your comfort. The straps can be released to the side allowing you to quickly take the pack off. It’s not too large, but has top and bottom external pockets. Finally, there is MOLLE nylon webbing on the front giving you numerous attachment options. 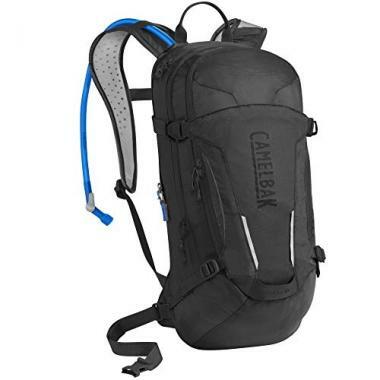 This top rated CamelBak backpack is made of 500D ripstop nylon which is very strong so you can count on it to last a long time. The ThermoBak is our insulated backpack alternative, offering a bit different design compared to the Zoid. With a capacity of 100oz it allows you to take more water with you, and the 7mm cell foam insulation keeps it from freezing. The hose is also nicely insulated and the bite valve has added protection. You can attach additional gear to the pack thanks to the integrated hook-and-loop and D-rind attachments. Like the previous one, it’s made of 500D nylon to ensure high quality. 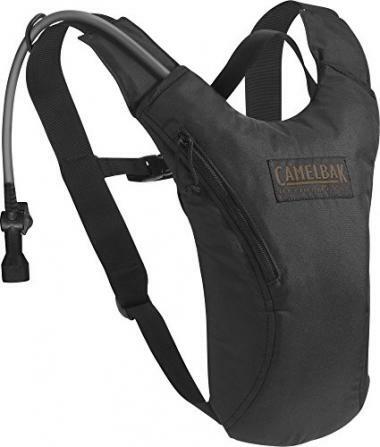 Bottom line, this CamelBak hydration pack should be among top products during very hot or cold weather. Here we have a hydration pack with a large bladder (100oz) and many additions for comfortable use. It has great water flow and refilling the bladder has been made easier thanks to the ergonomic handle. The tube has the on/off lever we mentioned, and also a magnetic clip to keep it in place. Like the first product we reviewed, this one also has a back panel with grooves for better breathability. As for other features, you will find external hooks to carry the helmet, stretch compartment, reflective accents on the front and back, and also a removable stability belt around your waist. On top of all this, you can choose among 10 color combinations. This one is a bit bigger than others we featured on this list. 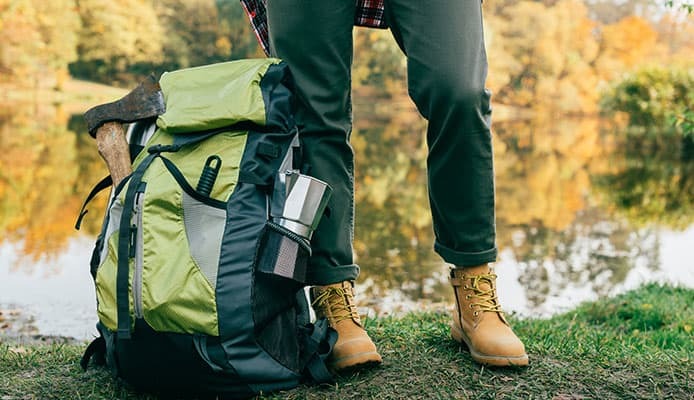 Besides the 100oz bladder capacity, it has a storage capacity of 6 gallons divided into two compartments, making it a nice choice even for a cross-country hike. 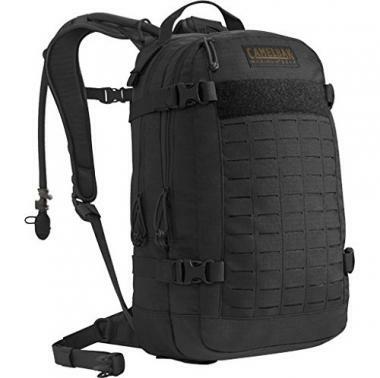 It’s a tactical backpack which comes with an extended composite MOLLE on the front side. Everything is made of tough nylon that is very hard to damage. You have several tube ports on the pack so you can adjust it easily, and the hose has an on/off lever, a bite cover and a valve at the base of the bladder. 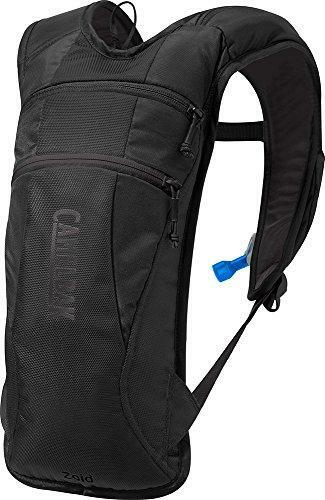 If you want top-notch quality with additional storage space, this is best CamelBak backpack you’ll be able to find. The Cloud Walker is a simple CamelBak for hiking, with everything an average hiker needs. The bladder capacity is solid, and the product comes with their tested leak-proof system. It has mesh on the back panel as well as the straps for comfort, and there is a hip belt too for added stability. As for storage, you get a main compartment and a separate pocket for your essentials, so you can easily organize everything. On the outside, you will find several attachment points including those for trekking poles, which we have to agree is very convenient. As we mentioned, a hydration backpack has some obvious upsides compared to other hydration methods. When it’s time to choose your CamelBak, you have to consider a few things. These come with different capacities, so you need to think whether you need the largest one or would you be more content with a smaller pack. Next, they come with some added features such as insulation, extra pockets, clips and many others which can be very handy. Finally, they are backpacks after all, and while some offer very little extra space, others will allow you to pack up all the gear you have on your hiking checklist. Take a look. Depending on what you need, CamelBak has you covered. Products we reviewed can be used for hiking, running, cycling or snow sports, among other things. Their hiking daypacks are comfortable, lightweight and usually come with a few extra pockets so you can pack some necessities. If you need one for cycling, they have backpacks with a low profile, increased breathability and reflective pieces so you are comfortable and safe on the road. As a plus, many come with helmet attachments. Some products are designed to keep your water from freezing, thanks to thick insulation. This allows you to use them for skiing, snowboarding and cold weather hiking. Finally, some are designed for tactical use and come with high compatibility with other equipment. You really shouldn’t have a hard time finding the best CamelBak backpack as long as you know what you’re looking for. One of the upsides of getting a CamelBak is how easy it is to get it refilled. All products come with removable bladders, which is a big plus not just for filling, but for cleaning too. While bladders are usually in separate compartments, you can take them out and use the backpack without them if you need some extra space. You can also often replace the reservoir with a differently-sized one, if that suits you better. In addition to this, some backpacks have convenient flaps which you lift and then unscrew the lid. This allows you to pour water into the bladder without taking the reservoir out (if you’re in a hurry), so the choice is up to you. This is probably the most important thing when looking for hydration backpacks in general. Bladders in CamelBak products vary from 30oz to 100oz in capacity. A 30oz bladder will hold enough water for an activity that lasts a couple of hours, but if you plan to be hiking throughout the day, you should probably get something bigger (even if you have a water source available on your route). In addition, if you plan on refilling in nature, don’t forget to take some water filters with you. Regarding capacity, you shouldn’t forget that a larger bladder will weigh more when it’s full, which may cause discomfort if the pack becomes to heavy. Of course, you don’t have to fill it to the top if you don’t need to, which is an easy solution to the weight problem because the bladder and backpack usually don’t weigh that much on their own. If you’re wondering how much water you’re going to need, be sure to read our hydration guide for hiking. Since you’ll be wearing your backpack for many hours at a time, it shouldn’t cause any discomfort. 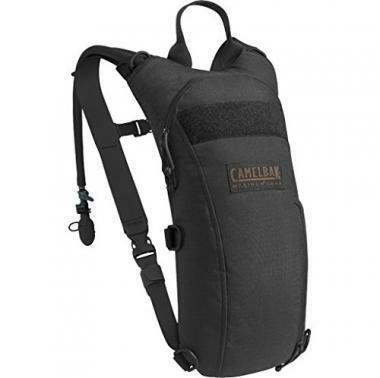 Besides high adjustability which is typical for CamelBak products, they also pay attention to the design. Their products are padded in the right places, with a good weight distribution which is also important when the backpack is full and heavy. The straps won’t chafe you or cut into your skin, and they will sit nicely against your body. However, it’s best if you have a chance to try on the backpack before buying it. If not, be sure to take some time and read about the experiences of others, so you know what you can expect. We just mentioned adjustability, and when we say this we’re talking about straps. CamelBaks come with strong straps which can be easily adjusted to your body frame so it fits both larger and smaller people well, while giving the product good stability. 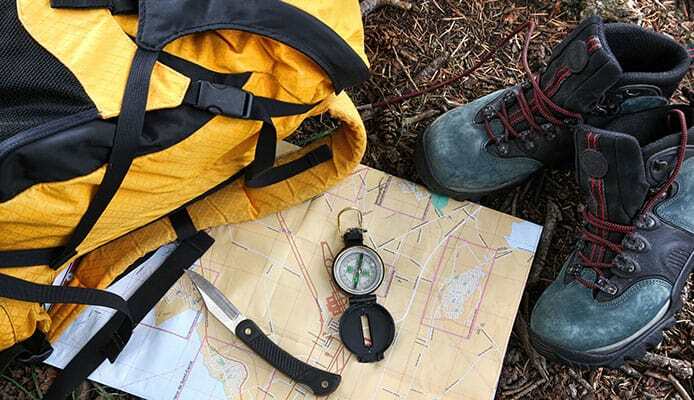 For every backpack the manufacturer specifies strap length, torso diameter and other measurements, so you can check whether it fits you well or not. To further improve this, some products have additional chest and weight straps, which are put there to help keep the backpack in place when you’re active and also distribute the weight more evenly. Most backpacks from this manufacturer are universal, but you’ll stumble upon a few specially designed for women too. These are better at conforming to a female body, making them more comfortable for women (compared to regular products). As you had the chance to see, most products we talked about have this. It’s a small lever located underneath the bite valve which you control with a flip of your finger. It blocks the water from running through the hose even when the valve is open, subsequently preventing accidental leaks. It’s very convenient and certainly a plus if you get a backpack which has this feature. Many people who use hydration backpacks find it annoying if the hose just hangs and bounces around when not in use. Sure, a part of it is pulled through the strap, but there is still that last bit which is hangs free. Most CamelBak products come with a clip of some kind to solve this problem. It can be regular or magnetic, and a couple of products we listed have these magnetic clips. Magnet pieces are located on the strap as well as on the hose itself, so it stays put when not in use, and you can quickly detach and use it when you’re thirsty. This is a very handy system which can be found on many CamelBak bladders. It allows you to quickly detach and attach the tube to the bladder. It’s very secure when connected, so there will be no leaks in the pack. On the other hand, you can quickly remove the reservoir from the backpack without having to take the tube out too. This is handy for refilling and cleaning the bladder. Outside conditions can impact the water inside the bladder, especially if it’s very cold. If you want to prevent it from freezing, you should get a CamelBak with added insulation. The tube is usually insulated, and sometimes has it’s own compartment in the strap for added protection. Of course, the body of the backpack should be insulated too. This insulation can be handy during the summer too, for example if it’s very hot outside and you fill the bladder with cold water and ice, allowing you to have a cold and refreshing drink throughout the day. Even though CamelBaks are made from high quality materials, they are not fully waterproof. They are water-resistant, thanks to the structure as well as the special coating on the surface which repels water. This means it will endure light to moderate rain without your content inside getting wet. If you need additional protection, you can read more on how to waterproof a backpack, or simply buy a backpack rain cover. Sweating is inevitable when we take part in a physical activity, so it’s important that our backpack is breathable so we stay dry without having the backpack stuck to out backs. 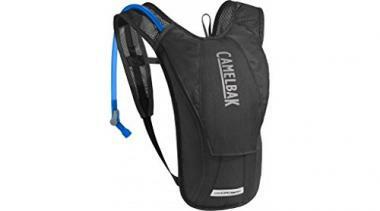 CamelBak uses a lot of mesh on back panels and straps to allow air circulation. Some products have special grooves on the back panel to allow air movement even when the backpack is fully against your back, creating a really nice feeling. Depending on the model you choose, you’ll get a different number of pockets and compartments. Having external pockets within quick reach is certainly a plus, for keeping smaller items such as your wallet, keys, mobile phone or hiking GPS. Also, consider the size of the compartments, how you can organize things inside, and whether or not that is going to be enough for you. Some CamelBaks are very basic and can accommodate only the bladder without much else, while others offer a substantial amount of space to pack your backpacking food and everything else needed for a longer hike. We mentioned that the backpack itself is made of high-quality materials, usually very strong nylon. But what’s more important is that the hydration bladder is made from safe materials. CamelBak uses only tested materials which don’t contain BPA, BPS or any other harmful substances. In addition, the inside of the reservoir as well as the tube has an antimicrobial layer which significantly decreases the number of bacteria and reduces chances of mold forming. Finally, the water doesn’t taste like plastic so it’s very pleasant to drink from it. Q: Why Chose A CamelBak Hydration Pack Over Other Hydration Packs? A: Because you’re getting a high-quality product which is going to serve you well and last a long time. They constantly improve the design based on user experiences, so you can expect great functionality too. In addition, CamelBak hydration backpacks come with “Got-Your-Bak” lifetime guarantee, meaning they will cover any material or manufacturing defects on your product. Q: How To Clean A CamelBak Backpack? A: The backpack itself should be cleaned from time to time, if you notice it got dusty or dirty. It’s usually enough to just wipe it down with a damp cloth and leave it out to dry. However, if it’s too dirty, you can soak it in warm water with some detergent, scrub it and then rinse it off and leave to dry. It’s not recommended washing it in a machine, because it can damage the straps as well as the water-repelling layer on the surface. When talking about the bladder, it’s a whole different story. You should clean it regularly so it remains safe and pleasant to use. When you’ve arrived back home, always rinse it with fresh water. When it’s time to clean, fill it with warm water, add some baking soda or bleach, shake it and leave the bladder to rest for about half an hour. Don’t forget to let this solution into the hose too, by manually pinching the bite valve. Afterwards, drain it and rinse both the bladder and the hose properly. After this, you can use a brush and a mild detergent if it needs scrubbing, or just leave it to dry before packing. An alternative is to get CamelBak tablets and their cleaning kit. Tablets work very similarly to the bleach/baking soda option, but it takes only five minutes for them to work. The cleaning kit is specially made for their products and allows you to reach all the difficult spots without effort. However, this option is more expensive too. Whichever method you use, don’t forget to completely dry the bladder before packing and storing it, because otherwise it starts to smell funny and wet surfaces are good breeding ground for mold. Q: What Can I Use My CamelBak Backpack For? A: You can use your CamelBak backpack for any type of outdoor activity you want to engage in, as we discussed when talking about types. You can also use it while working around the yard for example, when you don’t want to constantly stop to take a drink. Also, you can use just the backpack itself without the bladder, which is especially convenient if you get a larger model. As you can see, they are very versatile and buying one will give you plenty of opportunities to use it. 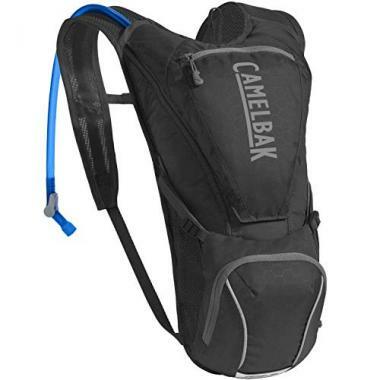 Getting a CamelBak backpack is an excellent way to keep yourself hydrated. Because many types are available, you can get a flexible product which will seem like it was made for you personally. It’s not just about carrying water – we’re talking about quick and easy organization of your gear and the comfortable feeling on your back. On top of this, their products aren’t overly expensive either, especially considering everything you get. We think these are absolutely worth it, and you’ll be more than happy if you give one a try! 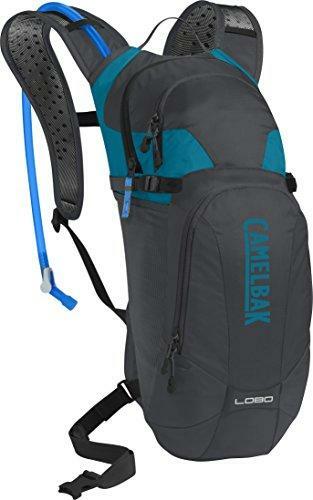 Have you tried a CamelBak backpack that made it to our list? Which model did you get? Are you satisfied with the bladder capacity? Which additional features did you find useful? Please share your experience with us in the comment section below.